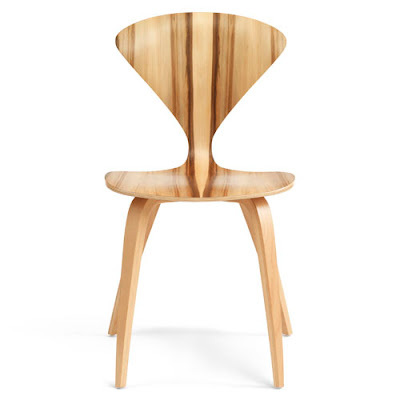 Norman Cherner Modern Dining Side Chair in Red Gum Seat and Natural Beech Legs. A natural companion to the Cherner Armchair. A beautiful dining chair or unique accent chair in the living room or the office. This brilliant mid-century modern masterpiece by Norman Cherner combines grace with functionality. 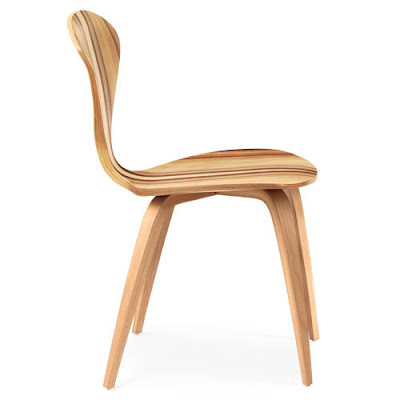 Its heritage goes back to the original molded plywood chairs pioneered by Norman Cherner in 1958. Since its introduction, the Cherner Chair has been regarded as among the 20th century's most significant and enduring modern furniture designs. Treasured by collectors worldwide and manufactured with attention to detail (all chairs are hand-crafted in the US), the Cherner Chair is a lasting classic of mid-century modern furniture design. The Cherner Chair is part of the modern chair collection of the Vitra Design Museum. 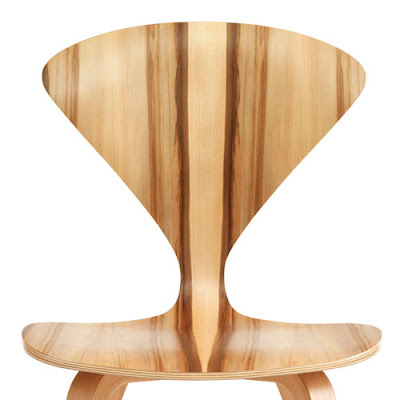 The seat of the Cherner Side Chair is made of a single piece of molded plywood. A beech core lamination with face in veneer of Red Gum. The wood base is made of two piece laminated beech, with face veneer in beech. The Red Gum seat with beech legs creates a unique but harmonious combination. Flexible but solid back rest makes the side chair comfortable.